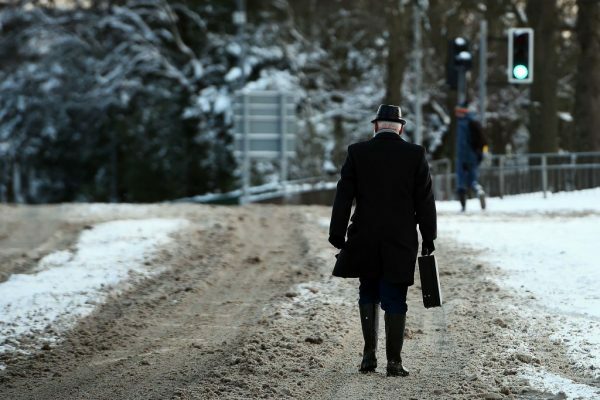 The Met Office has placed a red weather warning for snow for England for the first time ever, as extreme conditions have left drivers stranded and airport passengers stuck overnight. 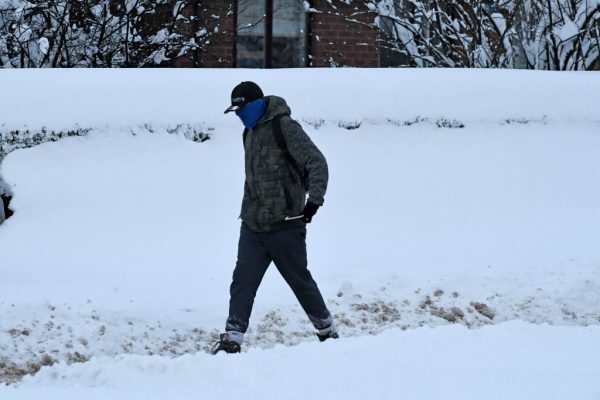 Temperatures are expected to drop to -11C (12F) during the day as Storm Emma rolls in from the Atlantic and meets the Beast from the East’s icy Russian air. The red warning for England and Wales was issued on the morning of March 1 and will be in place from 3 p.m. today until 2 a.m. tomorrow. The warning reads: “A spell of heavy snow and blizzard conditions is expected. The snow will be accompanied by very strong easterly winds, leading to severe drifting. “Some places could also see significant ice build up due to freezing rain from later on Thursday evening, most likely in the south of the area. Long delays and cancellations of public transport seem highly likely. In London, Paddington station closed from 8 a.m. because of severe weather conditions, while many flights were cancelled from major airports across the UK. The A52 between Boston and Skegness is impassable due to drifting snow. Do not travel on this route otherwise you are likely to become stranded and we are not in a position to recover you. Thank you and only drive if absolutely necessary. Gatwick Airport said many flights had been cancelled or delayed, while Heathrow said it had “consolidated” its flights “to provide more certainty around departing flights, and ensure the safety of our passengers and colleagues,” reported MailOnline. Thursday 1 March: extreme weather conditions across the UK and Europe mean that many flights are cancelled or delayed today. Please check your flight with your airline and do not travel to Gatwick if it is cancelled. Allow plenty of extra time for your journey if you're flying. 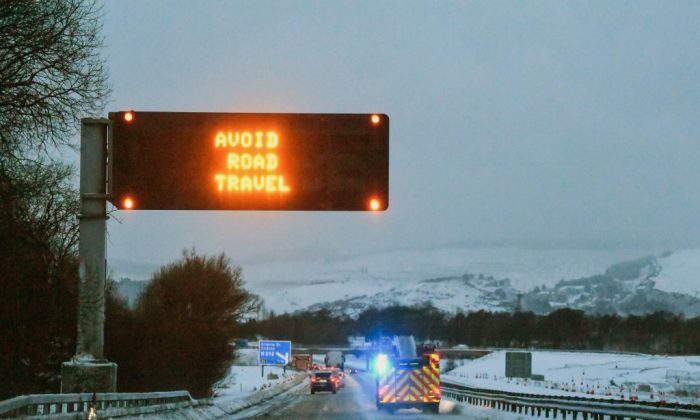 Scotland remains under a red warning, with Glasgow Airport cancelling all flights until at least 3 p.m. and drivers stranded for up to 13 hours on the M80 near Glasgow. Driver Stevie Buist was forced to abandon his car at Castlecary, Lanarkshire, walking with his two children and dog. Police Scotland said only emergency workers should travel at this time. They tweeted: “Todays advice: don’t travel unless you’re an emergency worker. #REDALERT remains till 10am and at best will reduce to yellow.